Long Island City may be the hottest neighborhood in any of the five boroughs. 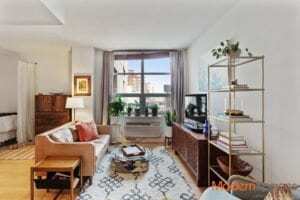 From luxury condos to new rentals, LIC has it all. Whether it’s showing hip Astoria condos or LIC luxury rentals, the team at Modern Spaces knows this borough better than any other real estate firm and wants to help you find your ideal home in Queens. Mary Torres is an expert in all things Long Island City – especially LIC condos and rentals. Read on to find out why Mary is such an exceptional agent, and why she and Modern Spaces make for a great team. I’ve been working in Long Island City since 2003, and I moved here in 2009. I became a real estate agent after a stint in banking. Once I finished that career, I joined the LIC Women’s Business Group and met with many LIC entrepreneurs and business owners. A few things kept coming up: I am an LIC ambassador; I love LIC and Western Queens; I have a strong business sense; I am a self-starter; I have an entrepreneurial spirit and—most importantly—I love helping people. That’s why I’m in real estate. I love working with people, and real estate requires that you communicate well and can adapt to the different needs and scenarios for each client. It’s exciting to work with a first-time home buyer, and I consider it a privilege to help facilitate such a big milestone in someone’s life. But I also love bringing my expertise to a client who is ready to sell and helping them find the best way to market and position their home. Long Island City is my specialization. It has everything: the waterfront parks, ferry, great access to Manhattan, but it is quieter. I moved here to be closer to my friends and family. I also love Sunnyside, where there are lots of trees, great shopping, and a family-friendly atmosphere. Sunnyside is like a small community in a big city. Astoria is a Queens neighborhood that has a little of everything. Oh, and the prewar charm of Jackson Heights must be seen. Work with an agent who makes you and your interest a priority. And make sure the agent communicates regularly—that’s a big one. Visit Mary’s agent page to see her listings, and check out her Facebook page to stay up to date on Long Island City real estate!